215 Lincoln Avenue – 100% LEASED! 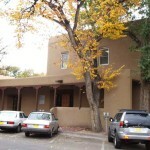 215 Lincoln Avenue is located between Federal Place and Marcy Street in beautiful Downtown Santa Fe. Conveniently located across Lincoln Avenue from City Hall, one half block from the Santa Fe Convention Center, one half block from the U.S. Courthouse and U.S. Post Office and two blocks from the County Courthouse. Numerous top quality restaurants serving lunch and dinner as well as several coffee shops are within short walking distance. 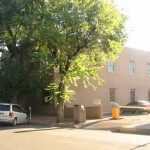 The historic Santa Fe Plaza is one block away. 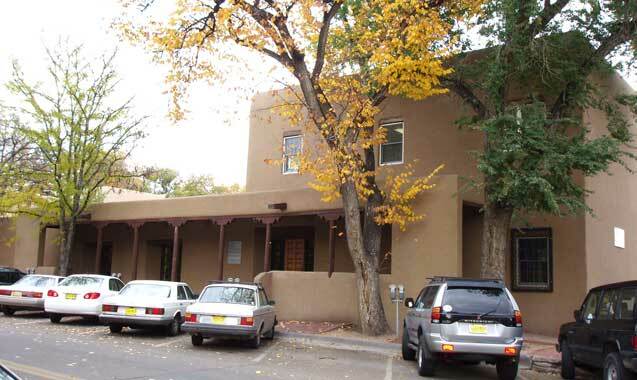 This is a location that offers the best of Santa Fe whether for business or the pleasure and charm of the community’s rich and vibrant culture. 215 Lincoln is a community of professionals, including First American Title Co. offering the best of the Downtown Santa Fe experience with the convenience of a single room full-service office space and private reserved parking. 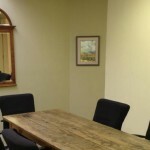 Shared waiting room and conference room, kitchenette and restrooms are nearby.